Overview: "Il Mare" is the name of a seafront house where two lovers reside in at two diffrent times. Sung-hyun in 1997 receives a strange letter one-day, reminding him to be careful of the snowstorm in 1998. But it is posted in 1999. Time travels backward again when Eun-joo sends him a letter of request, asking him to look for her lost cassette recorder at the train station where Sung-hyun finally gets a glimpse of her. Pusan International Film Festival 2001. My Thoughts: This is the Korean original film that the Sandra Bullock, Keanu Reeves 2006 film The Lake House was based upon. A couple comminucate with each other by letter except that they are separated not by distance but by time, he lives in 1997/98 whilst she is in 1999/2000. The common factor is the house, Il Mare, that they both owned at separate times and the mail is sent to each other via its post box. I need to rewatch The Lake House now to clarify some things in my mind, some subtle differences between the two e.g. the ending, but overall I enjoyed this film as much as I recall enjoying the remake. I recently rewatched "Il Mare" (now that I am in a Korean movie watching phase). I really enjoyed the second time around, until that is the last five minutes. There was a moment near the end, where they hinted at a different ending. We see someone coming up behind her and we are lead to believe that it is him. That he got her message which saved him, and waited until now and came to meet her at this moment, where she send the message. So similar to the "Lake House" ending. But then it turns out that it is not him. He decides to meet up with her just when she moved into the house. Which, besides causing a time paradox, is just not very good in my opinion. What would you say to a strange guy, who comes up to you and says: "I know it sounds strange, but we have been exchanging letters through time. I know you don't remember, because it is in your future (which now will not happen anymore)". Yes, when the director panned up behind her kneeling then upto the postbox and around it I thought the same as you. Overview: The story of AZUMI is adapted from a massive hit comic in Japan. In war-torn Japan, the Tokugawa Shogun, desperate to restore peace to his people, orders the assassination of the hostile warlords. Azumi (Aya Ueto) is raised from birth with nine other orphans to become an assassin. Prior to setting out on their mission, their master orders his students to "pair up" with each others best friend and proceed to kill each other.....Azumi reaches a gruesome climax with one of the most memorable beheadings seen in film. My Thoughts: I was updating the profile of this film so I decided to sit down and rewatch it. It is still a wonderful Japanese hack and slash film with a decent story, probably due to its manga history. Just looking at the level of damamge inflicted upon all participants you'd think that's it this one's gone now but no somehow they still manage to overcome that to fight on. This edition is the standard International Theatrical version even though the Hong-Kong based e-tailer I bought it from had it listed as the Extended Edition. 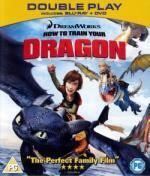 Overview: A winner with audiences and critics alike, DreamWorks Animation's How To Train Your Dragon rolls fire-breathing action, epic adventure and laughs into a captivating and original story. Hiccup is a young Viking who defies tradition when he befriends one of his deadliest foes - a ferocious dragon he calls toothless. Together, the unlikely heroes must fight against all odds to save both their worlds in this "wonderful good-time hit!" (Today). My Thoughts: An excellent film. Dragons are my favourite creatures and it was good to see the views of the Vikings change as the dragons were shown to be a positive force. One problem I had though, not a fault of the film, was that I kept expecting Sean Connery's voice everytime Toothless opened his mouth, this goes back to another favourite film Dragonheart where Sean Connery provided the voice for the dragon Draco. 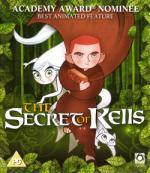 Overview: THE SECRET OF KELLS is a magical animated classic that tells the story of Brendan, a young monk whose life is changed forever when he is initiated into the secrets of the Book of Kells and embarks on an extraordinary adventure, meeting fearsome monsters, Vikings, and a serpent god along the way! From the producers of Kirikou and Belleville Rendez-Vous and nominated for an Academy Award® for Best Animated Feature, THE SECRET OF KELLS is a unique and stunning adventure for the whole family. My Thoughts: A very enjoyable film. Different in style to many of the bigger animation studios offerings but still very good. Much of the work is based around the Illumination style of drawing used in manuscripts and as such there were many instances of shapes etc. surrounding the on-screen action. Glad you liked these two Dave! I loved Dragon, and still eagerly awaiting a time I can watch Kells. I haven't managed to get a hold of it yet. I'm no expert when it comes to animation, but I take the The Secret of Kells over the output of bigger studios any day. I'm looking forward to seeing Kells, but I wish I could see past the cynicism in that comment, Matthias. I know what you mean, particularly in the lack of experimentation in the actual artwork, the more mainstream it becomes, but when I think of Pixar, I think of the finest studio working today and they produce magic from the most basic and commercial ideas. They should never be dismissed, especially as John Lasseter would probably be the first to champion animators like Tomm Moore because that's where he and every other mainstream animator came from. How their animation is put to use is the important thing and Pixar don't waste a single moment and keep pushing their target audience. I wasn't being cynical. Since you mention Pixar: I think The Incredibles is probably their best movie and I like it a lot, but there is a gap between that and work like Kells, Persepolis or Sita that they will never overcome. That's what I mean. In your head, Pixar has a ceiling they have likely already hit. Move up from Incredibles to Wall-E, Up or Toy Story 3 and it's far less obvious. That said, Kells and Persepolis are one thing, Sita is entirely another. I know you've supported it from the start, but I can only see it as an experimental curiosity. Judged on its own merits, it's very good (though not my thing; far too pretentious), but against the sheer brilliance of Wall-E? No, there is a gap but it's entirely in the other direction! That's what I mean. In your head, Pixar has a ceiling they have likely already hit. Move up from Incredibles to Wall-E, Up or Toy Story 3 and it's far less obvious. You are right. I gave up on Pixar after Ratatouille. Not because it is particularly bad (it isn't), but because they continue to move in a direction that is of no interest to me. As fantastic as the scenarios of their movies might be, they strive for a technical realism in their 3D animation that I find simply misguided. That said, Kells and Persepolis are one thing, Sita is entirely another. I know you've supported it from the start, but I can only see it as an experimental curiosity. Judged on its own merits, it's very good (though not my thing; far too pretentious), but against the sheer brilliance of Wall-E? No, there is a gap but it's entirely in the other direction! Well, you win that argument because I haven't seen Wall-E, but I very much doubt that it would change my mind. Still, I'm very glad that you gave Sita a chance, even if you didn't like it. I love their approach to the actual animation but I understand why people are occasionally put off. That said, the real appeal for me is the writing. How they take very wide appeal premises and present very mature and subtle developments is endlessly fascinating to me. Basically they trust their audience to have faith in what they do. Basically they trust their audience to have faith in what they do. And unlike many other major 3D animation studios now *cough* Dreamworks *cough* they don't talk down to kids. They give young children the credit that they deserve, and know that they can appreciate a true story, one that they will maybe even come to appreciate and understand over time as they age, rather than just one-shot gags and fart jokes throughout. Although that being said, Dreamworks have made one or two improvements lately, but everytime I think they are improving (Kung Fu Panda, How to Train Your Dragon) they seem to suddenly sink just a little again (Monsters vs Aliens, Shrek the Third and 'Forever After'). Overview: The creative minds behind Disney•Pixar's groundbreaking animated blockbusters invite you back inside the toy box for a heartwarming and hilarious High Definition movie experience you'll never forget. 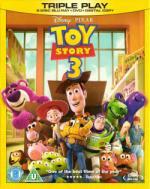 In Toy Story 3, Woody (voiced by Tom Hanks), Buzz Lightyear (voiced by Tim Allen) and the rest of the Toy Story gang return for an all-new adventure, along with a few new faces – some plastic, some plush – including Barbie's counterpart Ken (voiced by Michael Keaton), a thespian hedgehog named Mr. Pricklepants (voiced by Timothy Dalton) and a strawberry-scented bear named Lots-o'-Huggin' Bear (voiced by Ned Beatty). It's "the biggest, best, most exciting Toy Story of them all," raves Access Hollywood's Scott Mantz. Buzzing with hours of exclusive bonus features including an interactive trivia game, and the Pixar short film Day & Night, Toy Story 3 goes to infinity and beyond on Blu-ray Hi-Def! My Thoughts: Wow another magnificent film from Pixar. Just superb. I loved all the little touches. I knew that a Totoro appeared but it was nice that it smiled as well, just as in its original film My Neighbour Totoro.